When playwright Peter Snoad approached Diego Arciniegas to direct Snoad’s new play, “The Draft,” Arciniegas said he was captivated, but challenged too. “The Draft,” which is adapted from the book “Called to Serve,” chronicles the true stories of eight men and two women confronted by the draft during the Vietnam War. Snoad’s adaptation crosses time and space, including iconic photos and evocative music of the era in an effort to capture the emotions surrounding conscription. To add to the challenge, after its run at Hibernian Hall in Roxbury, “The Draft” is embarking on a tour of colleges, so whatever director Arciniegas envisioned had to be portable. Arciniegas’s solution: a collection of garment racks covered with fabric. 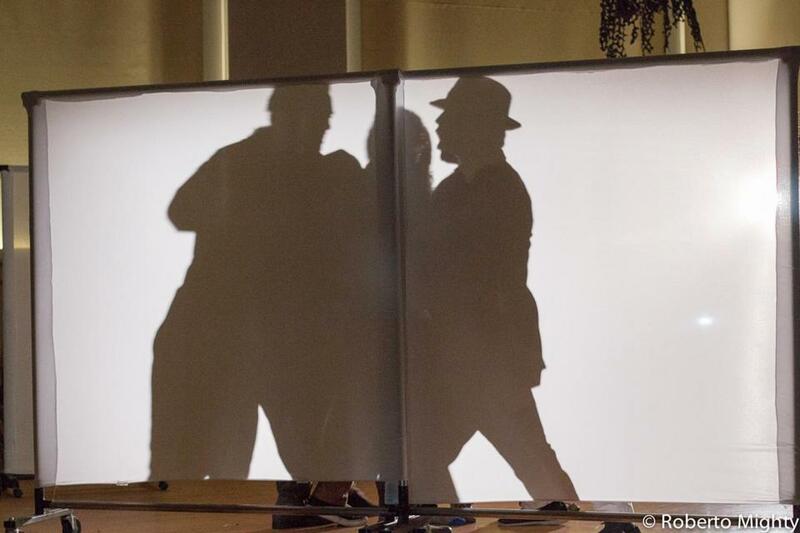 The racks, which are lightweight and move easily on wheels, serve as projection screens, offer opportunities for shadow puppetry, hide props, can be grouped in combinations to become set pieces, and even provide places for actors to make quick changes. Mighty, a Boston-based video artist, musician, and teacher, compiled an array of documentary footage as well as atmospheric projections to help set the scenes. Mighty’s imagery, Arciniegas says, inspired him to think about borrowing film techniques that could be adapted to the stage. This year marks the 40th anniversary of the end of the war in 1975, and yet, Snoad says, it is still difficult for Americans to come to terms with it. When he visited a college classroom to talk about the play and ask students about their familiarity with the Vietnam War, Snoad said he was shocked that so few students had any real knowledge of it, let alone of the draft.